First published in 1998, this volume contains an edited selection of papers presented at the Fifth International Research Seminar on ‘Issues in Social Security’, held on 14-17 June 1997 in Sweden by the Foundation for International Studies on Social Security (FISS) in memory of Brian Abel-Smith. The chapters cover a wide range of subjects related to old age pension reform, family policy, employment, privatization of social security and health care. The authors form a body of well-established researchers and scholars of world-wide reputation as well as younger scientists, stemming from various continents, and representing a range of relevant disciplines. 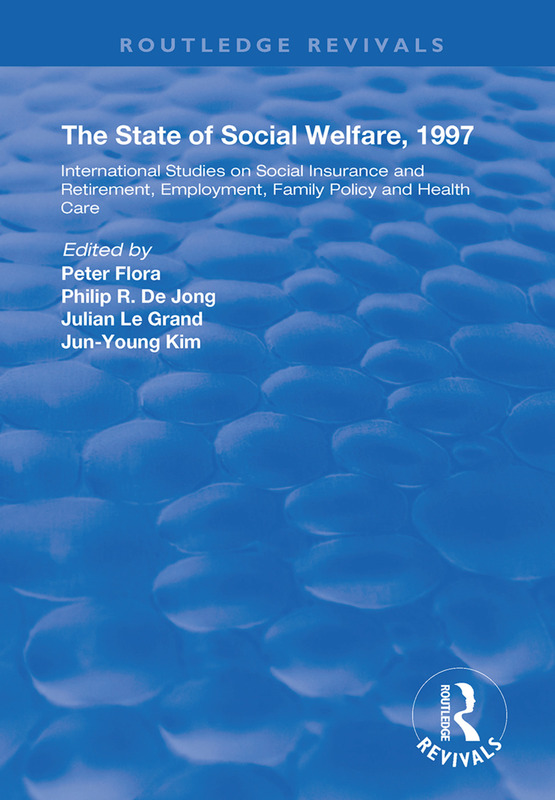 This volume is the fourth in a series on international studies of issues in social security. The series is initiated by the Foundation for International Studies on Social Security (FISS). One of its aims is to confront different academic approaches with each other, and with public policy perspectives. Another is to give analytic reports of cross-nationally different approaches to the design and reform of welfare state programs. Old-age provision for women: Bismarck or Beveridge? Government mandates, health insurance, and the deterioration of the lowwage labor market: Are they connected?